But enough about the lentils and just one word about the cheese. I know I said I don’t like substitutes – if you’re not going to eat something, like cheese or bacon or chicken, don’t pretend to eat it. Well, curiousity got the better of me and I bought some vegan cheese. You don’t need it in this recipe but can add it if you think you need that additional structural element. Or, if you’re not 100% vegan and want the real cheesy-McCoy use cheddar or, better yet, gruyère. 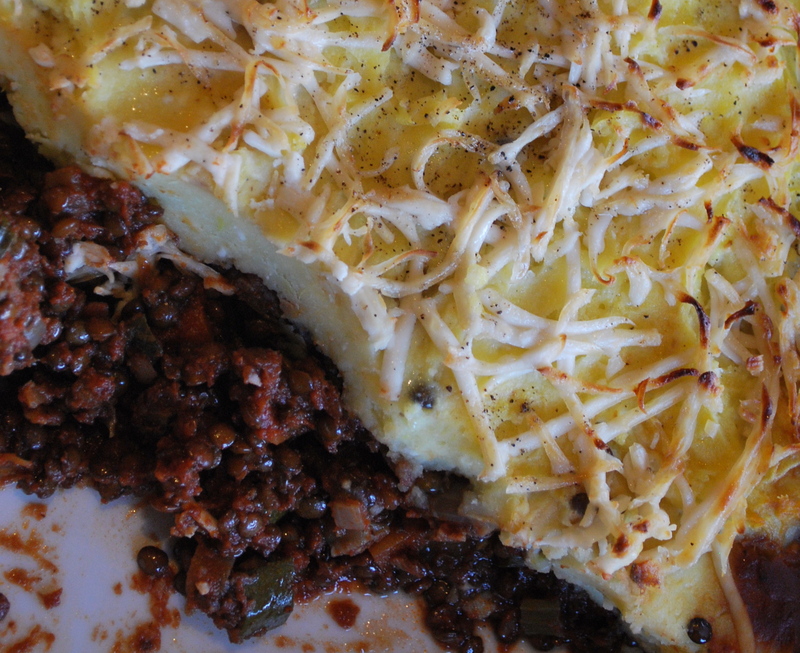 But whether with cheese or no cheese, fake or real cheese, this dish is a winner. In a heavy dutch oven, heat oil over medium heat. Add onion, carrot, and celery and saute until soft, about 6 minutes. Add garlic and saute another minute or two until garlic becomes fragrant. Stir in lentils, thyme, rosemary, marjoram and cook for 3 minutes more. Stir in tomatoes, stock, and wine and bring to a boil. Turn down heat and simmer, covered, stirring occasionally for 20 minutes. 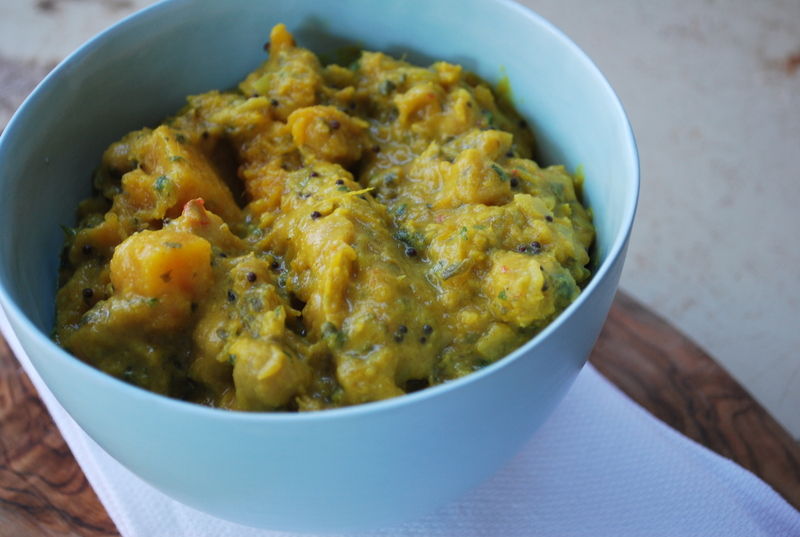 Add chopped zucchini and cook covered, stirring often, for another 30 minutes until thickened and lentils are tender. Add salt and pepper to taste. Meanwhile, cook potatoes, whole garlic cloves and sprig of rosemary in salted boiling water until potatoes are tender. Remove rosemary sprig. Drain, reserving some of the cooking liquid, and return potatoes and garlic to saucepan. Mash together with olive oil and some of the reserved cooking liquid, salt and pepper, and half of the cheese (if you are using it). 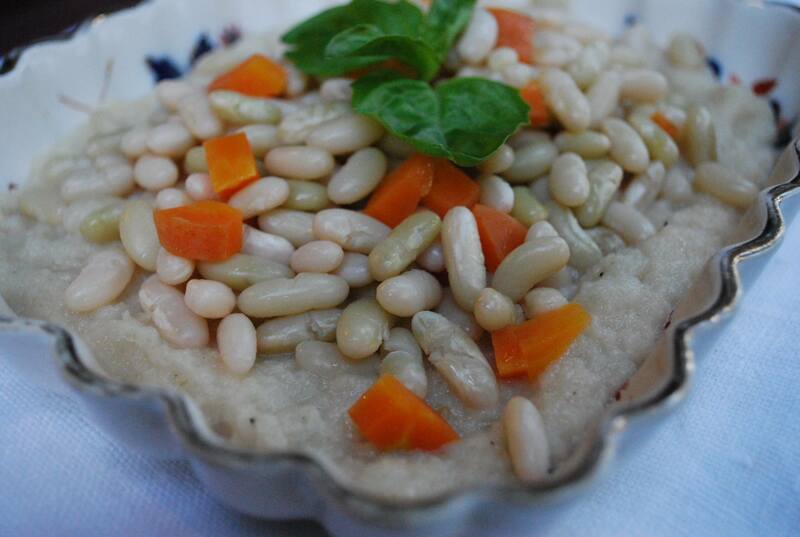 Put lentil mixture into a large baking dish. Spread mashed potatoes over the top. Sprinkle with remaining cheese (if you’re using it) and bake at 375 degrees until bubbly and browned on top, about 20 minutes. Let sit for 10 – 15 minutes for the flavours to meld and serve with crunchy baguette, green salad, and a nice light red wine. Before you get the cassoulet recipe you get a little history lesson. Did you know that “according to legend, cassoulet was invented during the Hundred Year War (1377 to 1453) when the fortress town of Castelnaudary in Southwestern France was besieged by the British and the locals were reduced to near starvation. Out of this hunger and desperation, Cassoulet was born from the meager dried beans, sausage and preserved poultry supplies on hand. 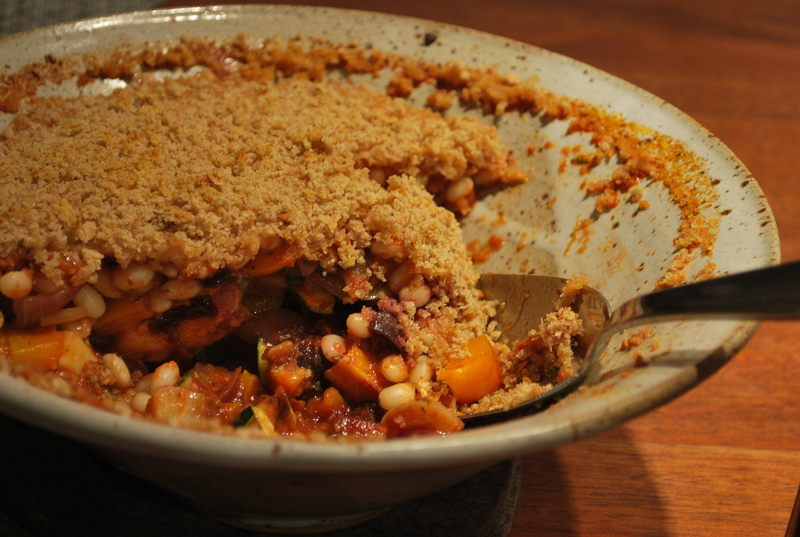 Cassoulet was named for the cassole, the primitive earthenware pot in which the cassoulet is cooked. 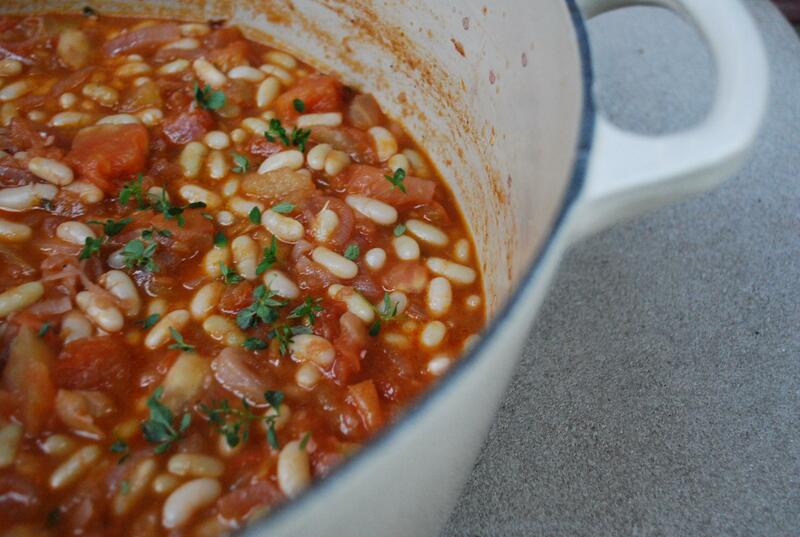 The two are inextricably linked, as its distinctive shape, slanted narrow at the base and wide at its mouth maximizes the beans’ exposure to the oven’s heat, forming the true cassoulet’s signature crust.” If you want to read more, click here. So fast forward 600 years and alas near starvation is not imminent and the sausage and poultry supplies not abundant. But the taste buds are craving a hearty French dish and I’m curious as I’ve heard the cassoulet has garnered a sort of cult status among the culinary cognoscenti. What to do? Veganize it of course. Julia Child would be horrified, as would be the good people of Castelnaudary. But oh well. Can’t worry about that. Soak the beans overnight and discard the water. Simmer soaked beans slowly in fresh unsalted water until done. Drain them and save the liquid. Peel vegetables if necessary and cut into bite size chunks. Spread them out in a single layer on a roasting pan, or cookie sheet. Drizzle with enough olive oil to coat lightly, and stir them up with a little salt and pepper. Add a few peeled and split garlic cloves and herbs to taste (a couple of sprigs of fresh thyme and rosemary and a bay leaf or two). Roast vegetables at 350 degrees; longer-cooking vegetables like sweet potatoes, carrots, turnips, fennel, celery, and onions can be roasted together; slower-cooking vegetables like zucchini, red peppers, and parsnips can be added slightly later in the roasting process. Soak sun-dried tomatoes in freshly boiled water for a few minutes until soft. Drain, saving the water, and chop coarsely. Then prepare the stock. In a large saucepan heat 2 cups or so of the bean water and sun dried tomato water, together with a can of tomatoes or a small bottle of tomato concentrate, a generous quantity of mashed roasted garlic, a hearty glug of olive oil, and salt and pepper to taste. Bring to a boil and break up the solid bits with a potato masher. Boil vigorously for a couple of minutes to emulsify. Meanwhile, in a large frying pan over medium heat, sauté the garlic and parsley in olive oil until tender and fragrant. Add bread crumbs and cook stirring until crunchy and browned. 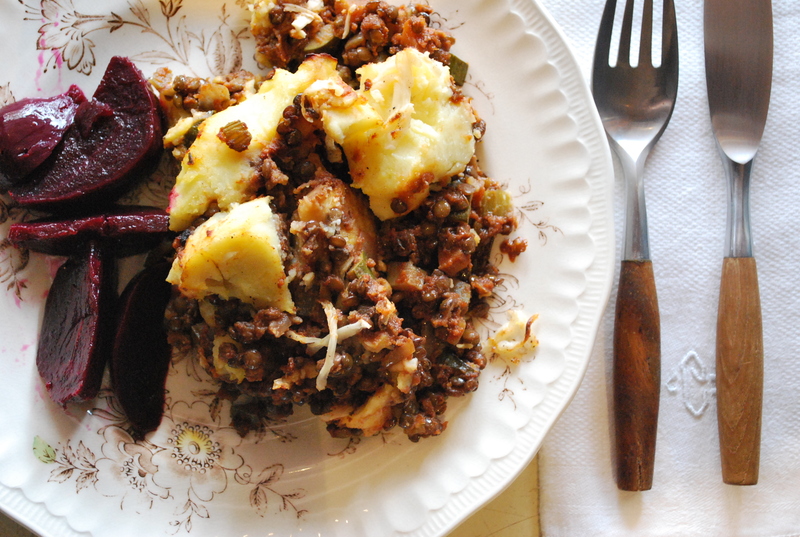 Mix all the cooked vegetables together with the sun-dried tomato. 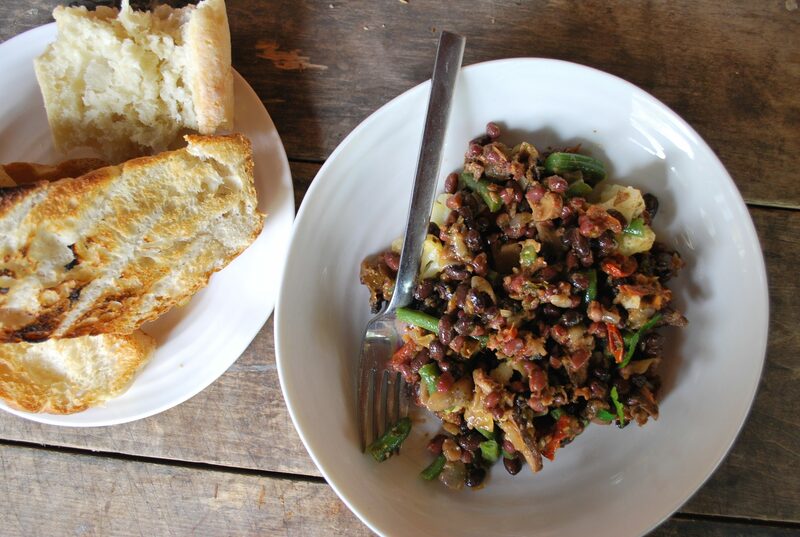 Put a layer of beans into your cassole (or whatever you choose to cook it in), then all the roasted vegetables, and finish off with the rest of the beans. Add the hot stock carefully, allowing it to settle as you pour. Top up if necessary with more of the bean cooking water, stopping when the level is about a half-inch below the surface of the beans. Finally, cover the top with a good layer of bread crumb mixture. 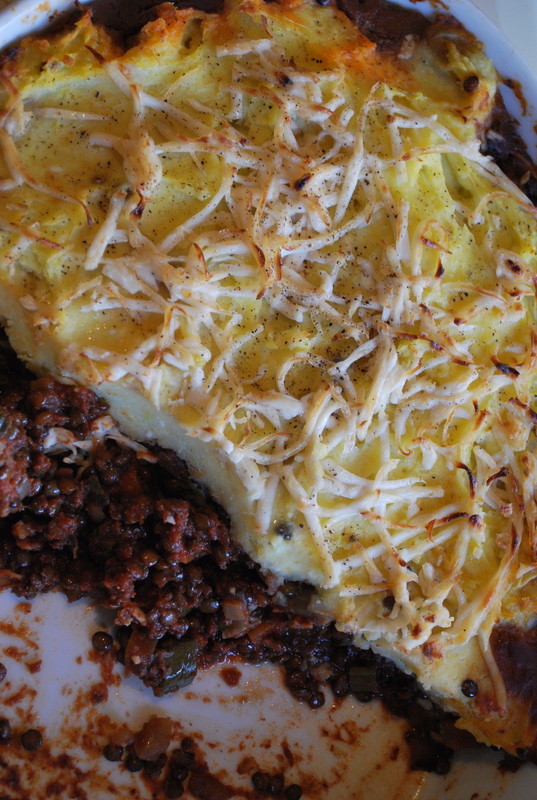 Drizzle with olive oil and bake the pot in a hot oven until the crust is brown and crisp. The ingredients are already cooked, so you are only combining their flavors. Of course if you make this the day before you plan on serving it, the flavours have more time to get acquainted. I have a confession to make – I have never cooked with lemongrass. I like lemongrass but it’s just never entered my lexicon or, more practically speaking, my pantry. I decided to change that last night by trying out Nigel Slater‘s recipe called chickpeas with pumpkin lemongrass and coriander. Since I don’t stock pumpkin but do stock all sorts of squashes I decided to make it with butternut squash instead. It was great over basmati rice with a few steamed sugar snap peas on the side. Drain the chickpeas and bring them to the boil in deep, unsalted water. Let them simmer for 40 to 50 minutes, till tender. Peel the onions and chop them quite finely. Pour the oil into a deep casserole and add the onions, letting them cook over a moderate heat till soft and translucent. Meanwhile, peel the garlic and the ginger, remove any tough leaves from the lemongrass, then make all into a rough paste in a food processor. Stir into the softened onions and continue to cook. Add the ground coriander and turmeric, then lightly crush the seeds of the green cardamoms and deseed and finely chop the fresh chillies before stirring them in. Keep the heat fairly low and on no account allow the ingredients to brown. Chop the pumpkin into large chunks, though no larger than you would like to put in your mouth, then add to the pan, along with the drained cooked chickpeas and the stock. Bring to the boil, then turn down to a simmer and continue to cook at a gentle bubble till the pumpkin is tender. Stop as soon as the flesh is yielding to the point of a knife, you don’t want it to collapse. Stir in the coconut milk and continue to simmer. Put a splash of oil into a nonstick pan and tip in the yellow mustard seeds. As soon as they start to pop, add them to the pumpkin together with the coriander leaves. Serve with the rice and the lime halves, ready to squeeze over at the last minute. I sourced some amazing flageolet beans on the weekend. 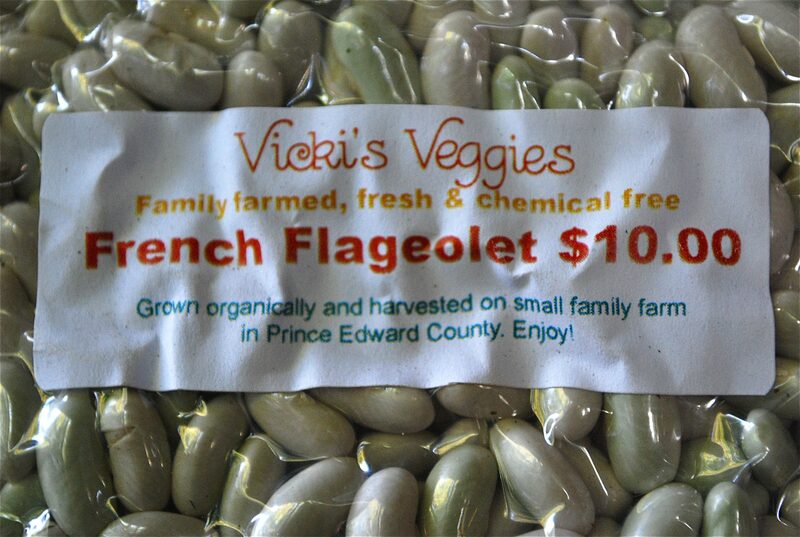 Flageolets are tiny, tender French beans. They are delicate in flavor, and are considered the darling of the French bean connoisseur. Essentially, they are tiny French kidney beans that possess a pale green hue and boast a tenderness like none other. So tonight’s dinner theme was “ode to the flageolet.” I made two versions. One you see below – Flageolets Soubise – a recipe inspired by Jamie Kennedy. The other was Flageolet à la Provençal. Both were delicious. The troops were divided on which one they preferred. I’d take both. Why choose? Life’s too short. 1. Place all ingredients except salt in a large saucepan. Cover with cold water and bring to a boil. Reduce to a simmer and cook for approximately 30 minutes. 2. Season to taste with salt. 1. Place sliced onions and olive oil in a saucepan and cook slowly until onions are transparent, but not browned. 2. Transfer to a blender and process until pureed. 3. Season with salt and a touch of cider vinegar. Warm an oval ceramic serving dish in the oven. Pour some soubise on the base of the dish. Spoon the beans and carrot mixture on top of the soubise. Serve immediately. I just bought the new Moosewood Cookbook which is great – recipes that are accessible, easy, and tasty. Last night I decided to try something new from it. Sammy wanted burritos with ground beef and cheese. I wanted burritos with vegetables and greens. So we did it all. 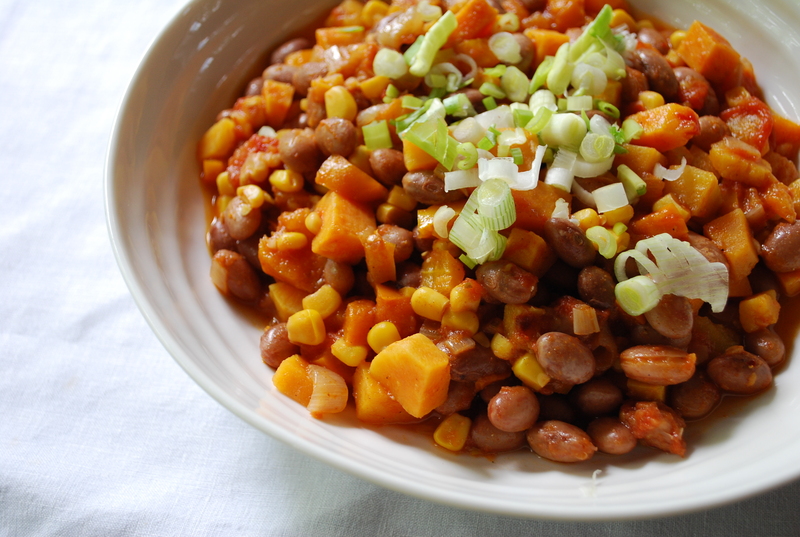 I made Moosewood’s North-South Chili to throw in mine but decided to tweak the recipe a little by using sweet potatoes instead of squash (out of necessity) and by adding corn (out of desire). As it cooked away I decided it should be called 3 Sisters Chili in honour of the wisdom of many of our aboriginal peoples who planted beans, corn, and squash together in a symbiotically supportive micro-ecosystem. If its good to plant them together, I’m guessing it’s good to eat them together! 1. Warm the oil in a soup pot on medium-high heat. Add the onions and salt and cook until the onions are translucent, about 10 minutes. 2. Stir in the garlic, red pepper flakes, oregano, cumin, coriander, paprika, chili powder, squash or sweet potato, bell peppers, and water. Cook, stirring often, for 10 minutes. 3. Add the beans and tomatoes, cover, and simmer for 10 minutes, stirring occasionally to prevent sticking. 4. Add the corn and simmer for about 10 minutes. Add black pepper to taste. 5. Serve topped with scallions and/or cilantro, if you wish.